Alliance Air, a subsidiary of Air India, is set to introduce flights between Pantnagar and Dehradun under the UDAN scheme from January 4, 2019. “Alliance Air will commence its flight on Pantnagar-Dehradun-Pantnagar route with an ATR-42 type aircraft. Flight AI-9823 will depart from Pantnagar at 13:40 hrs to land in Dehradun at 14:40 hrs,” Alliance Air said in a statement. Pantnagar is an important commercial and industrial hub in the Kumaon region of Uttarakhand. It is famous for having the first agricultural university in India known as the G B Pant University of Agriculture and Technology. 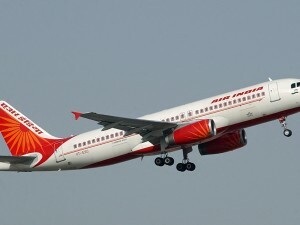 The Air India subsidiary said the return flight will depart from Dehradun at 15:05 hrs to land in Pantnagar at 15:55 hrs. It added that the flight will run four days a week – Wednesday, Friday, Saturday and Sunday. The primary objective of UDAN is to connect small cities of the country at affordable fares. Air India has resumed its Ludhiana-Delhi flight from the Sahnewal Airport almost three years after the flight was discontinued in 2014. 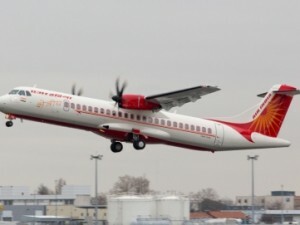 The 70-seater ATR-72 plane of Alliance Air under Air India will be operational on this route. Pawan Kumar, Assistant Manager, Air Traffic Control, Sahnewal Airport, informed that the flight would be operational four days a week on Monday, Tuesday, Thursday and Saturday. Restarted under the UDAN (Udey Desh Ka Aam Nagrik) scheme, 50 per cent of the 70 seats are subsidised at Rs 2,000. “Price for rest of the tickets will depend on daily demand and supply formula,” said Kumar. Alliance Air, a subsidiary of Air India, is all set to start a new service from Tiruchi-Chennai from August 30, 2017. The 72-seater flight would take off from Chennai at 7:35 am and would reach Trichy at 8:35 am and would again leave Tiruchi at 9:05 am and land at 10:20 am in Chennai. Alliance Air will be operating ATR 600 type aircraft in the Chennai – Tiruchi – Chennai sector. Jet Airways is already operating daily services in the Chennai – Tiruchi – Chennai sector using ATR type aircrafts. Following the commencement of first flight between Delhi and Shimla under regional connectivity scheme, Air India’s wholly owned subsidiary Alliance Air will begin its second flight service under Ude Desh Ka Aam Nagrik (UDAN) scheme on Delhi-Gwalior-Indore-Mumbai route starting May 31, 2017. The newly launched flight service will be operated by the 70-seater ATR 72-600 all economy class aircraft. 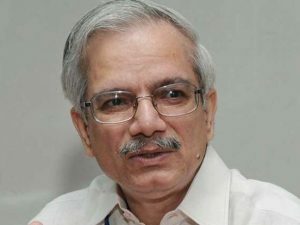 Delhi-Gwalior, Mumbai-Indore and Indore-Mumbai routes will not fall under regional connectivity scheme while benefits of the scheme will apply on other routes that is Gwalior-Delhi with fare of Rs. 1830, Gwalior-Indore with fare of Rs. 2500 and Indore-Gwalior with fare of Rs. 2500. Operating three days a week on Wednesday, Friday and Saturday, flight 9I 628 will depart from Delhi at 0950hrs and reach Gwalior at 1050hrs. The onward flight from Gwalior will depart at 1120hrs to reach Indore at 1235hrs and then leave Indore at 1305hrs to land at Mumbai at 1450hrs. Flight 9I 627 on Mumbai-Indore-Gwalior-Delhi route will leave Mumbai at 1030hrs and reach Indore at 1215hrs. The flight will then leave Indore at 1250hrs to reach Gwalior at 1400hrs and furthermore, the flight from Gwalior will leave at 1430hrs and land at Delhi airport at 1530hrs. In an attempt to boost regional connectivity, Alliance Air, a wholly owned subsidiary of Air India will connect Delhi and Bhatinda from December 11. The flights will be operated three times a week on Wednesday, Friday and Sunday. 70-seater ATR-72 aircraft would be utilised for the services. The flight will depart from Delhi at 12.15 pm and reach Bathinda at 1.45 pm. The return flight will fly out from Bathinda at 2.15 pm and reach Delhi at 3.45 pm. Alliance Air, which flies to tier-II and tier-III cities, has a fleet of eight ATR-72 and two ATR-42 aircraft. Currently, it operates flights to 33 destinations, including Allahabad, Bengaluru, Bhavnagar, Dharamshala, Gorakhpur, Shillong and Silchar. 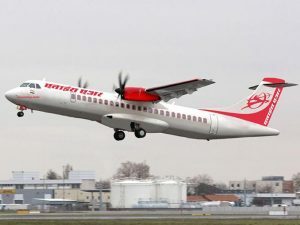 In a bid to boost regional connectivity, Alliance Air, a wholly owned subsidiary of Air India, has introduced new flights on sectors Delhi-Jammu, Bengaluru-Vijayawada and Kolkata-Agartala. The flights on the Bengaluru –Vijayawada and Kolkata- Agartala sectors will start operating from April 1, 2016. More flights will be added to its existing Delhi – Jammu route starting April 07, 2016, fares starting Rs 6,545 (super value economy). The flights on the Bengaluru-Vijayawada- Bengaluru and Kolkata-Agartala-Kolkata routes will operate with ATR 42-320 aircraft. The flight AI9507/9508 will operate five days a week (Monday, Tuesday, Wednesday, Thursday and Friday) departing from Bengaluru at 1600 hrs and will arrive Vijayawada at 1730 hrs, fares starting Rs 6000. On the return, AI-9508 will depart from Vijayawada at 1750 hrs and reach Bengaluru at 1920 hrs. The evening frequency from Kolkata to Agartala will operate five days a week (Monday, Tuesday, Wednesday, Saturday and Sunday). AI9715 from Kolkata will depart at 1710 hrs and will reach Agartala at 1815 hrs. The return flight AI9716 will depart from Agartala at 1835 hrs and will reach Kolkata at 1940 hrs. From April 07, 2016, Air India will be operating additional frequency three days a week (Monday, Thursday and Sunday) on its existing route of Delhi-Jammu-Delhi. Operating with Bombardier jet aircraft, the flight AI9613 will depart from Delhi at 0745 hrs and will reach Jammu at 0900 hrs. The return flight from Jammu, AI9614 will depart at 0930 hrs and will touchdown at Delhi at 1045 hrs.